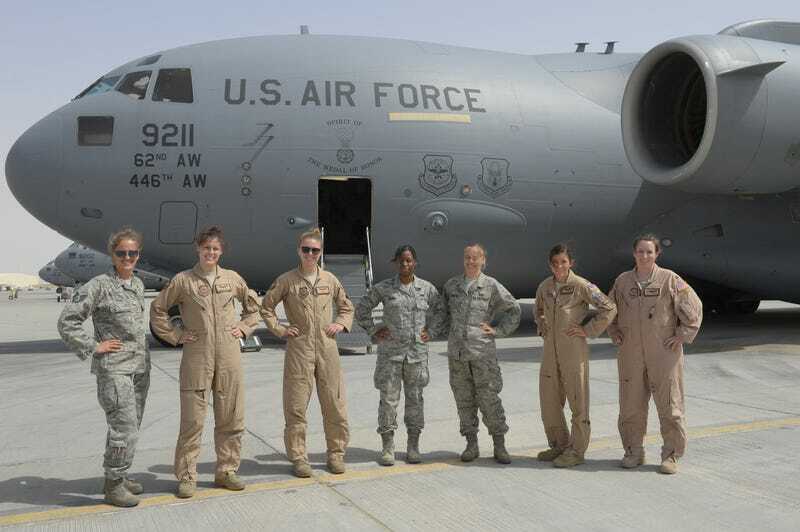 An all female USAF C-17A Globemaster III crew from the 816th Expeditionary Airlift Squadron participated in Exercise Eager Lion 2015. All-female crews are not an unheard of thing within America’s air forces, but fielding one during a Middle East exercise stands in stark contrast to how many countries in the region treat their female citizens. Eager Lion is a annual large-scale training event held in Jordan that includes over 10,000 personnel from 19 countries. Training scenarios from air defense to disaster relief are incorporated into the exercise, all of which are meant to challenge participants and increase cooperation and understanding between participating military units. This year’s Eager Lion occurs under the shadow of ISIS. Just to Jordan’s north, a civil war rages in Syria, while Operation Inherent Resolve continues to pound ISIS targets in Syria and Iraq. Many of these missions into Syria are being flown by Jordanian forces, meaning an actual air war is occurring around the exercise itself. All these factors, along with heightened tensions throughout the entire Middle East, makes this year’s exercise even more relevant and realistic than in the past. Countries that are participating in this year’s Eager Lion include Australia, Bahrain, Belgium, Canada, Egypt, France, Iraq, Italy, Kuwait, Lebanon, Pakistan, Poland, Qatar, Saudi Arabia, United Arab Emirates and the United Kingdom. Additionally, NATO’s Allied Rapid Reaction Corps will also take part in the exercise.